Please select options for AEM Brute Force Cold Air Intake - Gunmetal Gray (87-93 5.0L) at the top of this page. Boosts Horsepower. 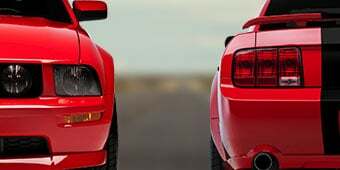 An AEM Brute Force Cold Air Intake will improve the airflow into your Foxbody Mustang's engine for more power and better gas mileage all while filtering out harmful power robbing particles. This AEM CAI kit completely replaces your 5.0L V8 Mustangs restrictive factory air box, intake tube and paper filter element with a Dryflow filter assembly for a noticeable increase in rear wheel horsepower and torque. No Tune Required. 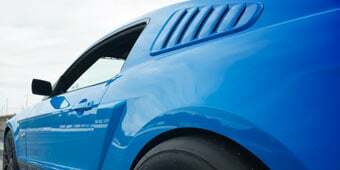 Unlike other Cold Air Intakes on the market for the 5.0L Mustangs the AEM Brute Force CAI does not require a computer re-tune. The engineers at AEM designed, tuned, and dyno-tested this cold air intake to improve your Pony's power using the factory tune. Reusable Dry Air Filter. AEM Dryflow air filters are made from an oil-free, synthetic filter media for outstanding air flow, filtration, and performance. 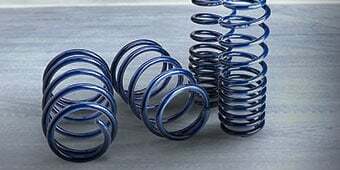 They are washable and re-usable and can be used for up to 100,000 miles before servicing (depending on driving conditions). Made in the USA. Manufactured in the USA from CNC mandrel-bent 6061 aluminum piping to assure smooth unrestricted airflow, this AEM cold air intake tube is completed in a Gunmetal Gray powder-coated finish for long lasting corrosion resistance and impressive good looks. Lifetime Warranty. AEM is so confident in their cold air intake system that it is covered by a Lifetime Limited Warranty. Easy Bolt-on Installation. AEM Cold Air Intake kits are designed to install with just basic hand tools. No extra modifications or special tools are required for an easy 1 hour installation. CARB Certified. 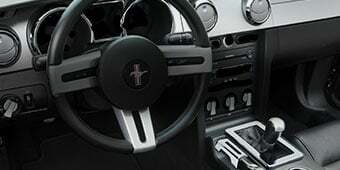 Best of all this Mustang AEM Brute Force Cold Air Intake Kit is 50-state smog legal under Carb EO# D-670-15. Recommended Upgrade. 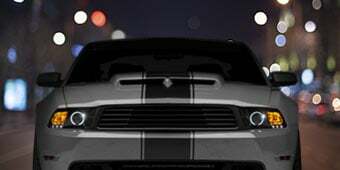 Even though a re-tune is not required for operation, AmericanMuscle recommends a Bama custom tune with a Mustang SCT Eliminator Chip to reprogram the vehicles computer (ECU) to get the best performance possible out of this cold air intake. Application. This AEM Brute Force Cold Air Intake System is specifically designed to fit the 1987 to 1993 LX, GT and SVT Cobra Mustangs equipped with the 5.0L V8 engine and does not require re-tuning the vehicles computer for operation. (1) Hose, Adapter 3.25/3.00 X 2.25"
(1) 1/2" Bnd Hose Clamp, 2.90"-3.75"
(3) 1/2" Bnd Hose Clamp, 2.56"-3.50"
(1) 1/2" Bnd Hose Clamp, 3.15"-4.00"
how well does it fit with the 75mm throttle body any issues, id appreciate thanks! This should work with a 75mm throttle body without any issues. Does this fitment require a retune? 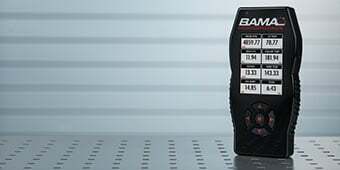 The AEM Brute Force Cold Air Intake will not require a tune, however, to see the most gains a tune would be recommended. 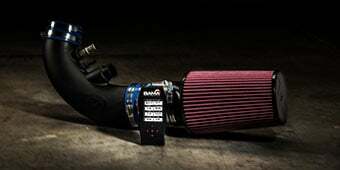 No the AEM Brute Force Cold Air Intake - Gunmetal (87-93 5.0L) does not require a retune for use. 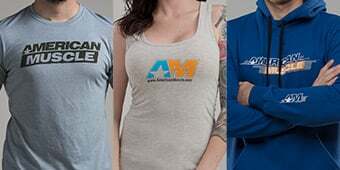 Would I have to buy a MAF for my 87 5.0? 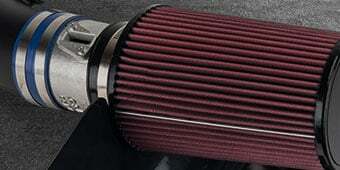 Will I need to buy a speed density adapter like other intakes for my 87 5.0? Yes, the CAI speed density adapter will be needed to work for your 1987 mustang 5.0 with this cold air intake. Hello! The AEM Brute Force Cold Air Intake is CARB Compliant, and legal to install on an emission controlled vehicle in California. Hello! The AEM Brute Force Cold Air Intake should clear most strut tower bars. 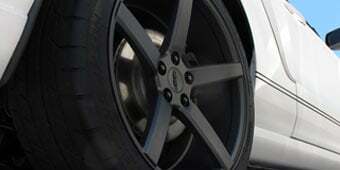 However, we cannot guarantee fitment, as it is not specifically designed for use with a strut tower bar. The AEM Brute Force intake piping should be the same diameter as the factory intake piping. Yes, the couplers are made to stretch to fit a larger MAF. Performance equals stock intake with the silencer piece removed. Your paying for the name brand and the looks... which I am pleased with. Easy install less then 20 minutes. Looks and sounds great. Website does not indicate that this only fits MAF cars but I like the looks of it so I am making an adapter and a support bracket to fit my non MAF 5.0.